The 3-year transition is coming to an end – at our May 6th annual meeting. 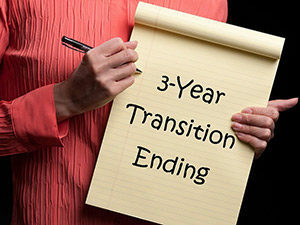 ‘What 3-year transition?’ some may ask! Three years ago, this church voted to suspend, for three years, a portion of the bylaws, to enable us to experiment with a new church structure. This structure was recommended by the Transition Team after several years of thinking, talking and praying. We now come to the end of this experimental period and need to decide where to go from here. The Leadership Team has been considering this for more than a year, conducted a survey to seek congregational feedback and has been evaluating the effective functioning of the experimental structure. Our assessment is that the new structure is working well, effectively enabling hoped for goals. It has streamlined processes, empowered ministries, enabled church leadership to take a strategic rather than organizational or reactive role, encouraged energy and flexibility in the emergence of new ministries or the transitioning of traditional ministries, provided a ministerial staff model that has strengthened and grown the work with our youth, and, most importantly, enabled a clearer focus on the purpose of our church – to be a Christ-centered, nurturing community: growing in faith, serving in love and welcoming all with joy. The Leadership Team is therefore recommending to the congregation that the new structure be embodied in a new set of bylaws. Since last summer, a Bylaw Committee has been hard at work drafting new bylaws to present to the congregation. The Leadership Team charged them with creating bylaws that not only integrate the new church structure, but are also simpler and more flexible than previous bylaws, while holding on to the necessary protections that bylaws provide. The reason for this request was to avoid having bylaws that quickly become inoperable or out of date. For example, we were unable to follow the requirements of our previous bylaws for reasons such as not being able to find the requisite number of people to serve on particular committees or, in some cases, because the function of the committees changed. Has anyone seen the draft of the bylaws? The Bylaw Committee worked in communication with the Leadership Team and offered a draft set of bylaws. In March these were made easily available to the congregation through the weekly all-church email and comments, questions and concerns were solicited, either to be submitted in an email or by attending a congregational Q&A. A number of people provided many helpful ideas which were considered by the LT and the Bylaw Committee and, in many cases resulted in edits (improvements!) to the draft. How am I involved in the end of the transition? 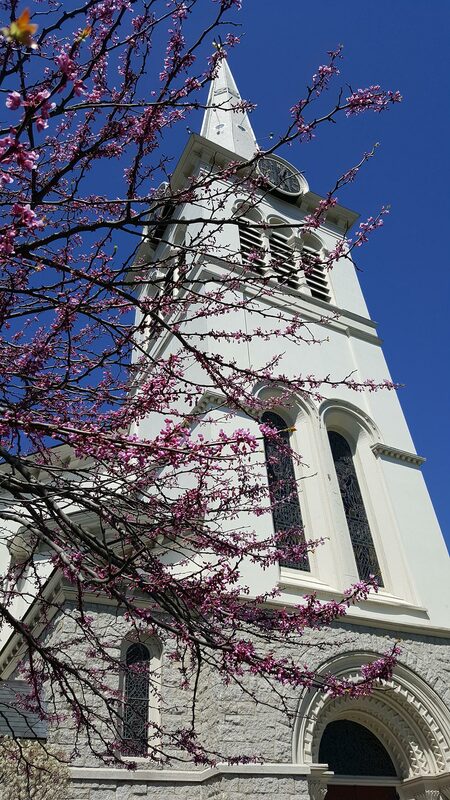 So, we invite you to come to the 178th annual meeting of First Congregational Church in Winchester on May 6th as we take this significant step together. By agreeing to the new bylaws we will be moving out of the three year transition and into a time of increased focus on the ministry we all do together in the work of building a church that does the work of God and further grows to be a Christ-centered, nurturing community: growing in faith, serving in love and welcoming all with joy. The final (we hope) draft of the bylaws will be available in the next week. Watch for it in the weekly emails. If you have last-minute comments, concerns or questions, please email them to our Moderator Penny Sparrow.